I spent ten days in Turkey at the end of August and loved it. If you haven't been, add it to your bucket list!! Istanbul is a modern Middle Eastern city with so much history- it's the Rome of the Middle East. After a few days of site seeing we headed south to the coastal town of Bodrum for some R&R, sun, and swimming in the Mediterranean. For anyone planning or just dreaming of visiting, I've made a list of the must see's and do's. Witt Hotels Although I did not stay here, it comes highly recommended. The Vault Simple, clean and nice. Well priced and in a great central location. Karaköy Rooms I read about this in the Guardian and a few other sources, and it looks great. More of an apartment than hotel, larger rooms, etc. The House Hotel We went for drinks at Banyan Bar next to this hotel, which has amazing views of the Bosphorus. This is toward the Bebek area near to where the Four Seasons and Kempinski Hotels are located. While I am not a fan of large marble laden hotels, both the Four Seasons and Kempinski have pools overlooking the Bosphorus. So if you want to site see in the morning and hang by a pool in the afternoon, then stay at one of these. But if you like a boutique hotel and want to be active all day exploring the city, then I would advise staying at one of the hotels noted above. An amazing and knowledgeable guide can make or break your travel experience. We had the great fortune to meet Zerrin Sapmaz. She used to be a tour guide for guests at the Four Seasons and then went off on her own. She is well informed and a joy to be with. $250/day. +90 532 368 0331. zerrin@atozinstanbul.com. Karaköy Lokantası Great spot for lunch. Ali Ocakbasi Enjoy the meze, salad with pomegranates and spiced lamb kebab at dinner. Head up to their roof deck before or after dinner for some truly amazing views of the city. Go to Karakoy Ozsut for a delicious breakfast of their homemade kaymak: boiled unpasteurized buffalo milk with honey. It is amazing and chalk full of enzymes for healthy digestion. We met Ansel there who provided us with a superb local experience introducing us to the amicable English speaking owner. Yeni Lokanta Bar Ansel also recommended this place- surprise, surprise, we loved it! The food was superb- particularly the tomato salad, the sausage, the Turkish ravioli and the hummus. That was just to start! The braised beef, lamb and fish followed. Everything was so delicious we had no room for dessert. Go for pre-dinner drinks down the street from Yeni Lokanta Bar at Leb-i-Derya to admire the city views. Mangerie & Lucca are two great spots in Bebek to grab drinks. 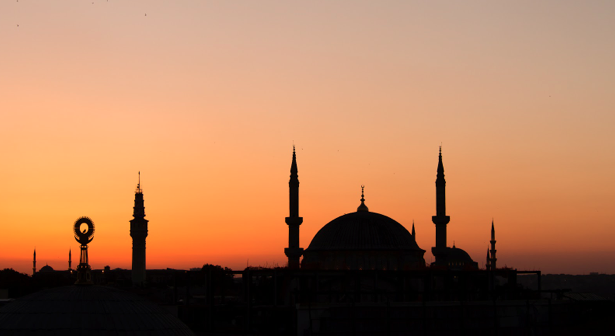 Head to the Old City to see the Hagia Sofia and the Blue Mosque, the largest Muslim mosque in Istanbul. The Hagia Sophia with it's layered history & architectural nuances was my favorites next to the Archaeological Museum. Shop Yastik by Rifat Ozbek for beautiful ikat pillows. While you can find some average ones at the Grand Bazaar, she offers a nice variety. The Nisantasi neighborhood is like the UES of Istanbul. Head there for all the fancy international stores. Simple Life Istanbul has some great housewares. Check out their selection of bath towels and dinnerware, soon to be at Barney's. I am a huge supporter of getting a massage the day you arrive as it helps reset the body from a long flight. Head to Kilic Ali Pasa Hamami for a traditional Turkish hammam experience. Note: men scrub men, women scrub women. Taksim Square, Isticklal Street, Grand Bazaar, Spice Market. Although some may love to wander around the Grand Bazaar, it's not my thing. A lot of overpriced Kilim rugs and knock-off designer handbags. Much too touristy and over-crowded for my taste. Macakizi Fun, lively, quirky, boutique hotel. Even if you do not stay here, you can hang out on the docks for the day by the water and just relax and swim. The food is also great! Try sea bass ceviche appetizer and braised beef over eggplant for dinner. Mandarin Oriental At first it took me a while to get used to the extensive grounds of the hotel since it was such a change from Macakizi, but it is truly stunning. Rooms are very well appointed with all of the modern necessities you could want. It is equipped with a large lap pool, beach and spa. I enjoyed their amazing steam room and indoor lap pool one afternoon while watching the setting sun- magical. For dinner try Kuum 29 in Kuum Bay. They are supposed to have the most delicious fish. Paradise Beach is also said to be a great day trip. Head to Cappadocia often compared to the Grand Canyon of Turkey. Take a morning hot air balloon ride and stay at the Cappadocia Hezen Cave Hotel. If traveling in late September, early October, it is highly were recommend to travel the coast of Turkey by boat.